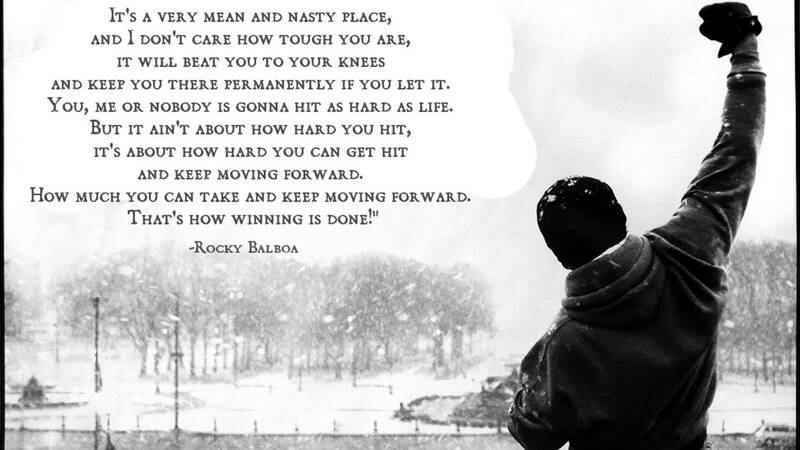 Rocky is the title character of Rocky series. It was played and directed by Sylvester Stallone. There was a time in Sylvester’s life when he slept on New York City Port Authority bus station for three nights. He had written the script of Rocky and wanted to play the lead role in the movie. He talked to many producer, some of them really liked the script(Few offered huge amount for script) but they did not want him as lead role. To survive he had to sell his dog(friend) at merely 25 $. Later one producer agreed to produce the film but he offered much less than what other producer had offered just for script but he still accepted it. And Rockey turn out to be huge success and rest is history. Later he bought his dog back for 3000 $ which he sold for mere 25 $. Inspiring Story. Isn’t it? Do we have such problems ? Don’t we have place to sleep ? Why I have so many problems in Life? Posted in Food For Life and tagged 25, actor, buy, director, dog, dollar, inspiring, Key, lead, Life, motivational, New York City, Persistence, problem, producer, rainbow, rocky, rocky bulboa, role, script, sell, story, sunshine, sylvester stallone, World. Bookmark the permalink. Posted in Food For Life and tagged ABC, Attitude, Boldness, Children, Confidence, Life, People, Request, World. Bookmark the permalink. Life Is Beautiful : Live It , Learn It , Love It. Life is like a train. We all are passengers travelling in the same train. Some are enjoying the journey even in the general class while some are unhappy in spite of being in AC coach. At each station new people come into coach(Life) . We interact with them and learn from them and when their station came they left us. Instead of missing someone all the day , accept the reality. That’s Life..dear…It does not matter how much time you have spent with someone but it is the bond between two heart that keeps them always near. The one who does not accept the reality , has to suffer a lot. I want to say…..
Everything In Life Happens For A Reason……..
Use Your Smile To Change The World……. Don’t Let The World Change Your Smile…………………. Posted in Food For Life and tagged Journey, Learn, Life, Love, Passengers, Reason, Smile, Time, Train, Travel, World. Bookmark the permalink.